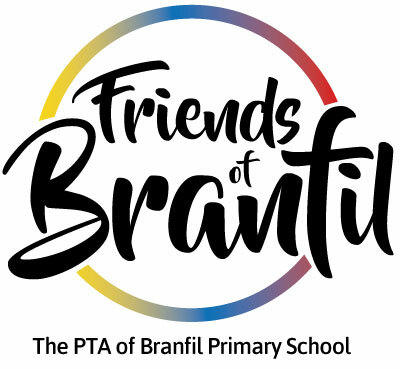 The Friends of Branfil is run entirely by volunteers and all help whether an hour at an event or regularly attending our committee meetings - any and all help is needed. Our committee meetings are held at the start of each month in the Optimist Pub we are always looking for new parents to join our meetings and share their skills and ideas. As a lot of the events take a lot of work and preparation the more members we have the easier it is to run events smoothly and run more events. Don't worry if you can't make every meeting all support is welcome. Check our website Helpers section to see where we need help and please sign up, every hour counts and without your help, our events can't run. We have lots of events throughout the year that you can be a part of and help at. We always welcome donations and they are a large part of what makes our events successful. If you have new unwanted items we can use as raffle prizes or for our tombolas please hand these in at the office. You can also make personal donations of money if you visit our website you will find our link to make a donation. We purchase a number of refreshments, prizes and stock for various events and we also use local companies for food for certain events. If you can get a discount through work please let us know so we can get items at the best prices. Also if you know any local companies that would like to sponsor us or advertise with us in our brochures please get in contact. For example: A parent, who works for a company that offers matched funding, volunteers to help on a stall at the Christmas Bazaar, the profit made on that stall is matched or money is given up to a set amount by the company which doubles our money raised without any extra effort. This is a massive help to us and makes a huge difference to our fundraising.